If you’ve ever used an Apple Watch or Fitbit to monitor your health, you know how addictive data analytics can be. Just about everything we do can be measured. The key is making sure we’re measuring the right things, and that our data is timely and accurate. Imagine the consequences if your health metrics aren’t right! For small businesses, the importance of data takes on a different dimension. It’s the lifeblood by which you make decisions, how you assess your performance and is ultimately the key factor in determining whether you can stay in business. If we’re relying on this data, then we need to make sure it’s as accurate, safe and secure as it can be. It needs to have integrity. Without integrity, you can’t rely on it, your advisors can’t rely on it, and anyone else – such as a bank or other third party – will also struggle to take the figures seriously. But what constitutes high integrity data? It’s more than just making sure that numbers add up. That’s a key part of it, but ultimately to know if the data is credible you have to look at it end-to-end. That includes how the information makes its way into your accounting system, what happens to it when it’s there, and what controls are in place to identify and rectify errors. Bank feeds are a massive time saver when it comes to processing transactions and having them entered into the accounting system. Not only do bank feeds save time, there’s also another important consideration: they’re not touched by humans. They come in as-is, without the need for manual intervention. This means there’s no chance for human error when keying in an amount. The same principle applies to all your data. Whether you’re using an app or connecting directly with other businesses, if it’s an automated process, you know the information is clean. Whether it’s from an invoicing app, a large vendor, or direct from another Xero business there’s no need for manual intervention. The result: greater integrity and accuracy. With cloud software, your data can be populated around the clock. By storing your financial information in the cloud, third-party systems can send you data as it comes in. There is also a low risk that someone unwanted can come in and tamper with it. Security, resiliency, performance and availability all become key requirements of the supporting infrastructure that runs these systems. Once the information is in your accounting platform, you need to make sure you can monitor its integrity. In Xero, features such as the upcoming Assurance Dashboard are designed to help advisors identify anomalies in a client’s data. We also have tools like Find & Recode to help advisors fix mistakes quickly. Checking your data integrity end-to-end is important. This means from login through to how your software treats your data to who else can access it. If your process has that integrity then you know you can truly trust your numbers. The post Is your data telling you the truth? appeared first on Xero Blog. We hope the Easter bunny brought you lots of chocolaty treats this year! And with the change of season, it’s a great time for fresh starts and getting all your ducks in a row. With Mother’s Day just around the corner for many of you, we’ve brought a great deal from our friends at Plastic Printers so you can get shiny new gift cards in-store before the shopping frenzy ensues. What is the total value of all my stock on order from a given supplier? What is the value of stock in transfer between my outlets? How much did I spend on stock between January and March 2015? Xero Updates – We’re working more closely with Xero than ever before. Our integration is revamped with more exciting updates to come this year. So we were thrilled to be Xero’s Ecosystem Partner of the Month! Find out more about how this beautiful accounting integration can help you automate your most painful tasks, gain total insight into your business’s true real-time position, and make smarter decisions. 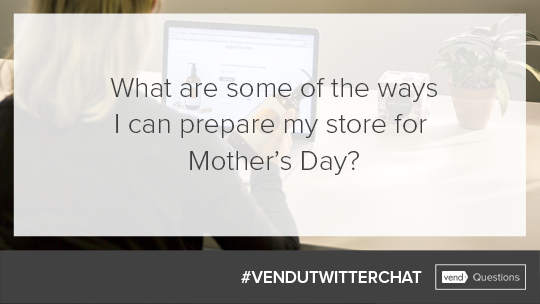 Vend U – Is your store ready for Mother’s Day? Join us on Twitter on April 19th at 4pm (EDT) for our very first retail Twitter Chat! Our retail experts will be live for an hour sharing the most effective ways to get your store, products, and staff best prepared. They’ll help you get more customers through the door and keep them engaged so you don’t miss a sale. Did you know that 65% of gift card redeemers spend almost 40% more than the card’s value? So if you haven’t set up gift cards in Vend yet, now’s the perfect time before the Mother’s Day shopping frenzy begins. Our friends at Plastic Printers have put together a limited time offer to get you prepared. Just use promo code ‘MOM15’ at checkout and you’ll get 15% off your shiny new gift cards! 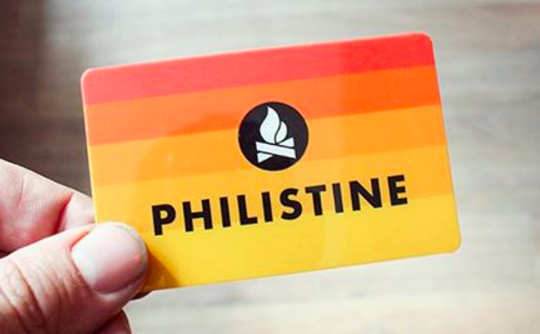 We love Vender Philistine’s new design. Make sure to order before April 27th to redeem this deal. 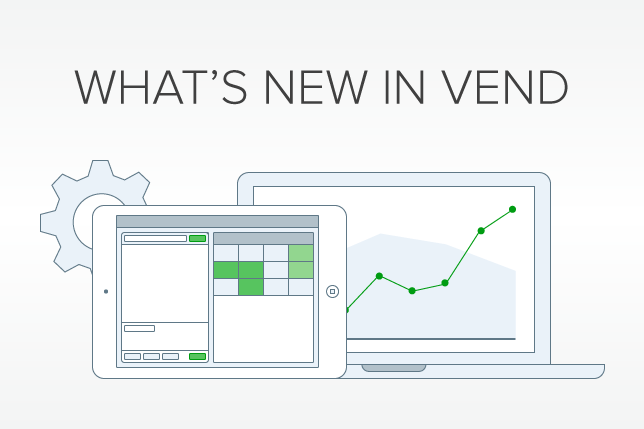 The post What’s new in Vend: March appeared first on Vend Retail Blog. 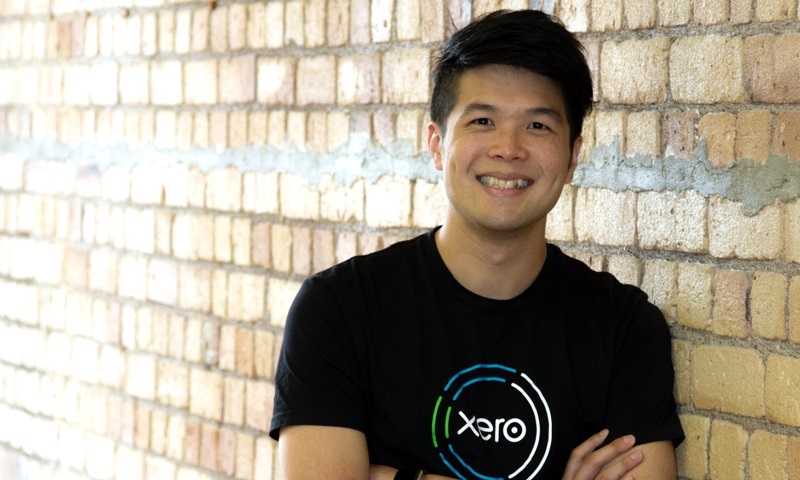 Ollie Chiang joined Xero in April 2014 as a product manager in Auckland. He looks after parts of Xero’s practice product suite. What are the reasons you chose to join Xero and are they still relevant today? Being a proud Kiwi, I’ve always wanted to work for a Kiwi startup that has a global impact on businesses. Xero is a company that does great things; it speaks a lot of the Kiwi value; and while it continues to grow, we all do our best to remain nimble to preserve our great culture. I love our product. I wanted to work in an environment where change was rapid, where feedback was measured, and where mistakes were accepted as the way to learn and get better. All of those reasons are still very relevant today and why I stay. What’s the best part of working for Xero? The people. It’s true that great companies attract great talent and I have had the privilege of working alongside very talented individuals who focus on delivering value. What are the technical challenges you enjoy the most? Solving tough problems! We have lots of technical challenges – and then we also face challenges around scale and having to think about all facets of a problem such as security, performance, scalability and the general functionality. Diverse: We’ve got people from different backgrounds, cultures and countries all working towards the same goal. Passionate: We live and breathe in the accounting space – we offer great products for our accounting partners and we are passionate about delivering value to our customers. Our developers are always looking at what issues customers are facing, and coming up with solutions to address them and improve the product. Fun: We’re a tight-knit product team who participate in events every quarter. Some of the activities we’ve done together include archery, laser tag and bumper carts. What is the best thing about Xero’s agile culture? Every team has an agile coach or facilitator working alongside it, and they guide us in industry best-practice and help to make sure all team members are fulfilling their role. They’re not afraid to call out where there are gaps and we’re always looking at continuous improvement. How would you articulate the great opportunities for career growth at Xero? The great thing is that we’ve got a pretty flat structure which means that anybody in the team can voice opinions about gaps and then do their bit to fill the gap. I often wear multiple hats – there is no cookie cutter process – and there are load of opportunities for you to discover and take up. How would you describe our Xero culture in three words? Human: We’re all able to contribute and voice our opinion. Startup DNA: We’ve just gone through a massive growth phase with lots of interesting challenges and opportunities. We’ve been able to preserve our startup DNA with high-levels of trust amongst our teams and autonomy. This empowers each team to make key decisions in the space they’re in. It’s an attribute of the culture that’s key to Xero’s success to date. Innovate: We’re always working with our design team, our engineering teams – and with our small business customers to come up with new ideas and features to make their lives easier. And that’s been happening since day one. What autonomy do you have to determine which technology choices are used in software development? There are architectural guidelines we have to adhere to but, within those limits, our work group has a lot of freedom with technology choices – web layer, application layer and database layer. As long as you’re confident with tech choices and can justify the decisions Xero is very open to test and try out new technology. What are the best perks of working at Xero? For me personally it’s the flexibility of work hours. As long as you can get your work done, Xero are accommodating. Also the paid paternity leave policy, which helped tremendously when my first child was born in December 2015. I play a lot of sports including basketball, and I play golf with a few mates from work. I also enjoy playing the guitar every now and then. With the newborn, I now most enjoy spending time with him and my family. 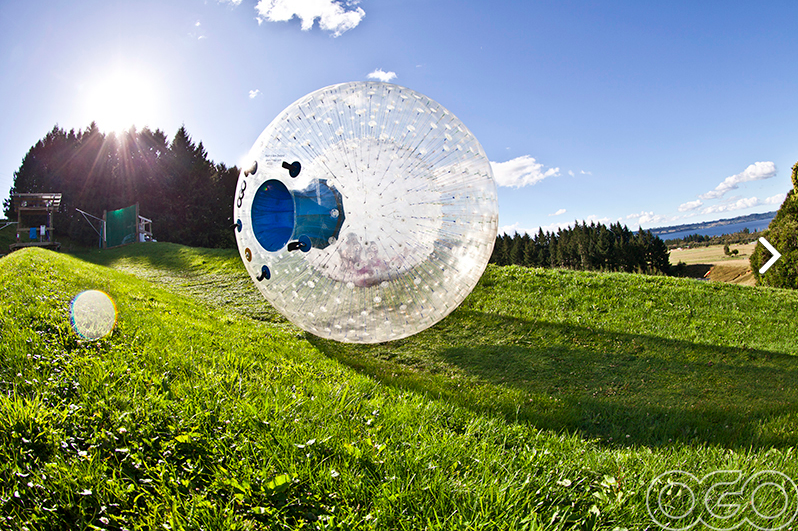 Travel around the world! I’d probably start with America, follow that with Europe, and then head to South East Asia. The post Product Manager Ollie Chiang shares his experience as a Xero appeared first on Xero Blog. 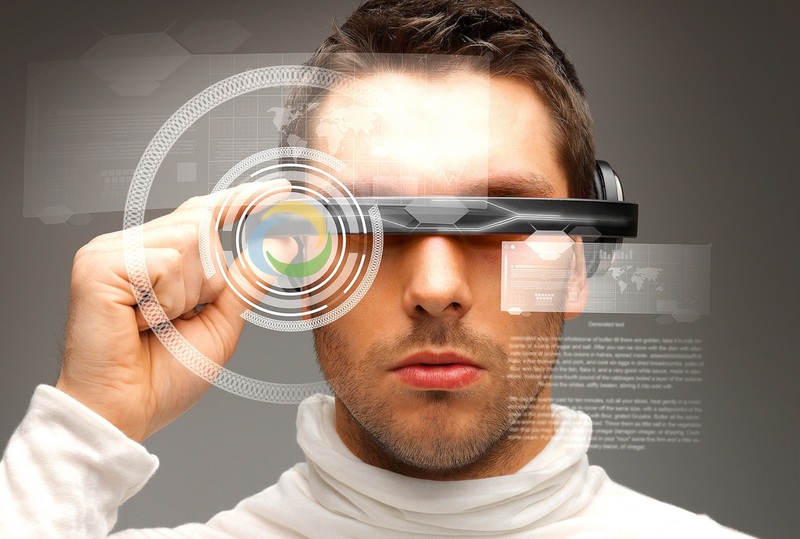 How many people do you know with wearable tech? Now subtract everyone who’s wearing a FitBit or a smartwatch. Anyone left? Aside from the three people (in the world) who bought Google Glass, you’ll probably struggle to find anyone who uses wearable tech for anything other than counting their steps or checking their invoices and bills on their Apple Watch. But there hasn’t been a piece of wearable tech that’s fully disrupted the market place. Companies have the ability to build it, so what’s stopping them? The main barrier for many people is the cost. If you’re looking for more functionality than step and heart rate counting, it’s going to cost you. In fact, as with Google Glass, owning the highest end of wearable tech is seen as a status symbol, one that’s actually a turnoff to a lot of people. As fashion trends tend toward the “I’m not even trying”, especially with millennials, a piece of wearable tech is the ultimate try. As we explore the various applications of wearable tech – such as smartchips embedded in clothing, or rings that can replace our current watches – we’ll see the prices drop. This will then take wearable from an elite status symbol to an everyday must-have. We’ve seen a similar evolution with Apple products. Once upon a time you would pay $1,000 extra just to have a computer in neon blue, now you buy an iPhone as much for the beautiful functionality as the design. Wearable tech hasn’t quite nailed the “wearable” piece of the puzzle. Fitbit has collaborated with Tory Burch to take the functional, yet aesthetically unappealing rubber bands and turned them into high end bracelets. Apple Watch has attempted this in their addition of Rose Gold. But no one has been able to merge the worlds of fashion and technology to create a piece you would buy just as much for the look as for the functionality. The first company to collaborate with a fashion house in a meaningful way is going to make a killing. While creating something that looks good, they’re also going to get a boost from the credibility of the designers. While technology can set trends that matter inside your device’s, fashion designers set the trends for what people are willing to put on their bodies. Even fitness trackers can do little more than a basic step counting app on your phone. That is changing with the addition of heart rate monitors, but if you’re looking for steps and calories your phone can do that. As for smartwatches, their main use is for when you don’t want to reach for your phone. Or you’re trying to check your messages on the sly in a meeting. So far they haven’t demonstrated a “must have” reason for you to own them. And with smartwatches, you actually need your phone to get the most out of their functionality. We need a significant jump in our technology to build wearables that provide a value that doesn’t tie to your phone. Even chips embedded in clothing usually come with a phone app to access their data. For a piece of wearable tech to really take off, it has to be independent or provide so much value that it’s worth the two step process of wearing it and using your phone to access it. While a lot of the wearable technology we have is cool, none of it actually helps you significantly in your day-to-day life. Sure, knowing how many steps you took is interesting, but it’s not imperative. Glancing down at your watch to check a text message may save you a few seconds, but it won’t change your day. So far wearables have tended toward the flashy and not the functional. While they’re all nice to haves, none of them have solved a significant problem. If a piece of technology comes out that overwhelming changes how you do something, like something that reads my mind and answers hundreds of emails for me on command, it will take off, regardless of if it looks good. Even Google Glass, which was undeniably cool and ahead of its time, didn’t solve any problems. Which is why it was held back by price and the fact that it just made you look plain ridiculous. Wearables are on the brink of becoming mainstream, but they have a few basic problems to solve. They’re currently the iMac from 1998. But soon they could be the iPhone. 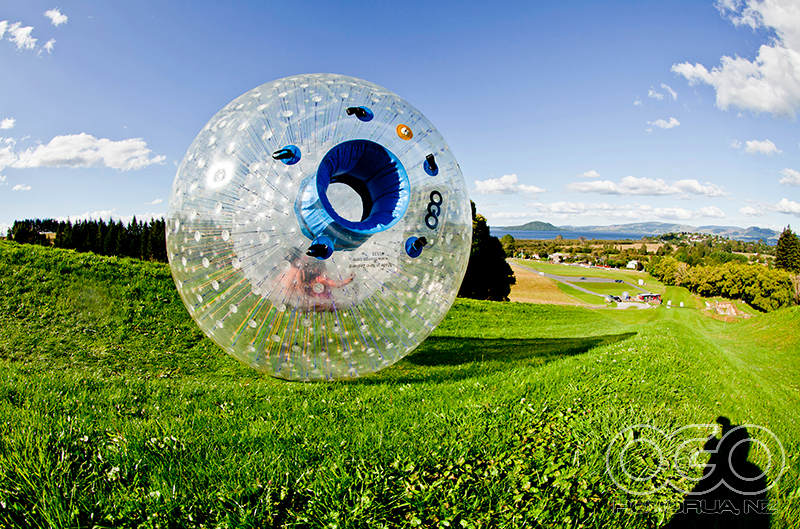 A piece of tech that’s integral to how you live your life. The post Why wearable technology hasn’t hit the mainstream, and how that might change appeared first on Xero Blog. Making your small business stand out online has never been more challenging thanks to the rapid growth of search engine optimization. But it turns out SEO isn’t as mysterious as it might seem. A few simple steps – and an ongoing strategy – could make all the difference to improving your business’ online visibility. This week on Xero Gravity, we delve even deeper into the world of online optimization, as we chat to Andrew Eager, Director of SEO Strategy at Boostability. Tune in to discover how you can make SEO work for you, and why services like Google My Business are beneficial tools for your business’ online profile. If you loved this episode, check out one from last week with Rand Fishin on SEO & The Network Effect. Join us next week as we continue the theme of small business marketing and sit down with Michael Mothner, CEO of WPromote. We’ll discuss how digital marketing impacts small businesses and why it’s critical to join the conversation. The post Xero Gravity: Standing out online small biz style appeared first on Xero Blog. Invoicing just got a whole lot better for all you Android folk out there. Our last post on Xero for Android talked about how mighty fine the app is looking these days after the walloping Material Design update. We’ve been working pretty hard and have released a lot of updates since then. But there’s one in particular I’d like to share with you all, and it’s just how damn good invoicing is on Android! We want you to focus the limited time you do have on the most important tasks for your business. 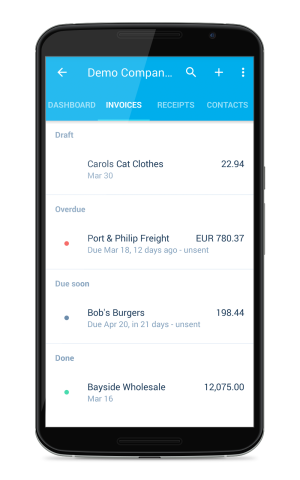 When dealing with invoices on Xero for Android, we hand you a unified, single-list of invoices sorted in order of priority. 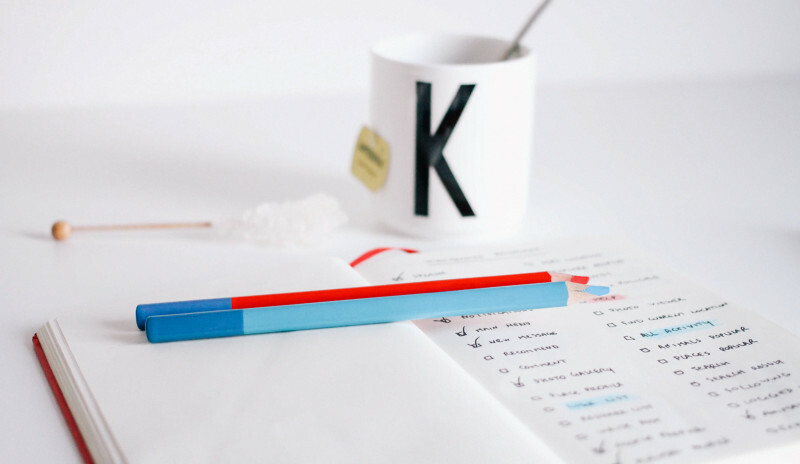 Aided by the traffic-light system of red, amber and green status dots – we think this makes for a simple and great way to quickly see what needs your attention first, encouraging you to start work with the most important tasks for the day. Staying up-to-date can be tough, especially keeping track of the details. With Xero for Android you can keep track of who’s paid their invoices, who’s paid a little bit and who may need a visit from Mike Ehrmantraut. 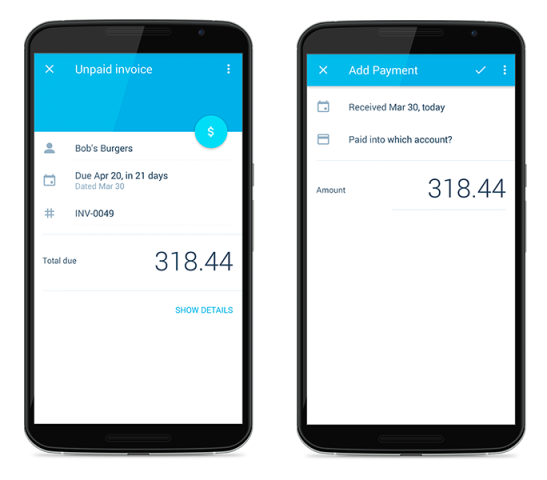 You can view both partially paid and fully paid invoices, tracking the payment amounts from your customers, along with being able to view the specific details of each payment. Damn Daniel! 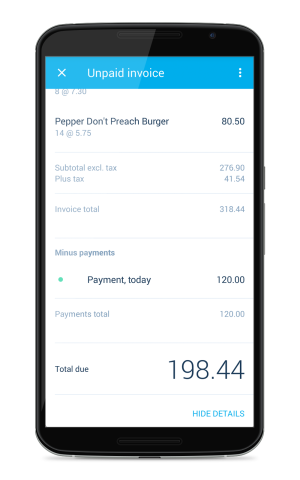 The first iteration of payments for Xero for Android is here. You can now record partial or full payments against outstanding invoices, allowing you to keep track of all the sweet, sweet moola you’re raking in. Simply open any approved invoice. You will be greeted with the add payment FAB and will then be laughing all the way to the bank. Yes, we know you want quotes! We truly are working on this, it’s pretty complex behind the scenes and we want to make sure we get it right for you. Recording payments enhancements – we’re going to keep iterating on this feature and will be bringing over-payments, pre-payments and credit into the mix very soon. The post This IS the droid you’re looking for: Invoicing appeared first on Xero Blog. Is Smartphone Revenue Overtaking Desktop? Tech startups are often taught to “move fast and break things”. But as a business expands it will inevitably face growing pains. Chat ops app Slack has been on an incredible growth trajectory. In just two years it has hit 2.3 million daily active users (20% joined in the last two months), and over 675,000 of them are paid users. To support that growth, its headcount grew from 80 to 385 employees in 14 months. It’s an expansion rate that has CEO Stewart Butterfield worried. Especially with the number of cautionary tales floating around the Valley at the moment. Rapid growth without the infrastructure in place to deal with the impact on compliance, human resources and the financial sides of the organization, can break a company. Before leading Xero in the US, I was running my own media agency. There was a point in time where we transitioned from handling a dozen smaller accounts to several accounts worth more than our entire client list combined. We had to aggressively scale the infrastructure to deal with these bigger clients. This involved streamlining and automating where we could, adding headcount and implementing administrative processes so the higher expectations of these clients could be realistically met. Growing operational models and having to adapt to those changes in real time are not only growing pains, they’re death shots to an organization and if not handled correctly, they can actually sink you. No matter your business size, every company goes through these stages. These pressures usually rear up just when you find yourself in way over your head, needing to execute. One of the big differences is how various sized companies deal with growing pains like staffing, scaling up, team alignment and product development. Small companies often don’t have the resources to throw at these issues. However, when it comes to dealing with them, one common thread is that management needs to find the time to work on the business, not just in it. Here are a few ways I’ve learned to deal with growing pains so my team doesn’t get hamstrung by process, or lack of it. As companies grow, hierarchies can weasel their way into the ranks. And while this is often necessary for efficiency, it can block messages. One way to overcome this is to over communicate. There are a bunch of collaboration and communication tools — like Atlassian’s Hipchat or Slack — out there which can help you do this. Holding regular “All In” company meetings and making your leadership team available for “ask me anything” sessions can also help communicate your message and flag any internal issues. 2. Data can show you where your next opportunity is. Take the time to figure out where your most valuable customers are coming from and set a bunch of metrics or indicators so you can measure how well your company is tracking against your goals. The trick here is to use these insights to guide your decisions and figure out where you should focus. But be careful, spending too much time in the data can spark a nasty case of analysis paralysis which doesn’t help anyone. 3. Culture should always come first. As a business grows, its culture will naturally shift and evolve. However, the essence of what made the company great in the first place should be tightly held at the business’ core. One way to ensure your business continues to align with its mission and beliefs is to establish a set of values that every decision can be linked back to. Educating your team on these values and how they relate to the business can develop a framework for how your business operates no matter how large it becomes. 4. Learn to plan ahead but get comfortable with not sticking to it. As a business grows, plan A can quickly get thrown out the door in favor of plan B, C, or a hybrid version of all three. 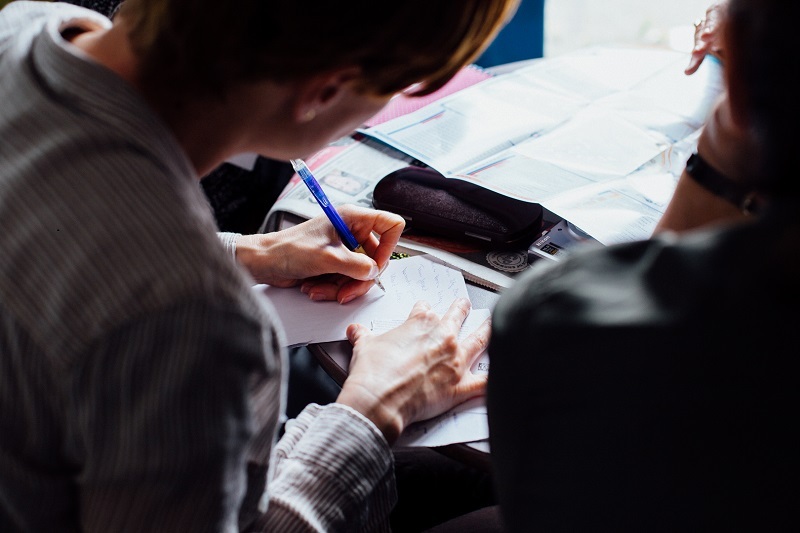 However, by documenting your plan, and communicating it with your team, you can flag the resources you might need ahead of time and determine if you have the cash flow to pay for them. Learning to iterate on-the-fly can also help your business move forward at pace. 5. Sit in the trenches. Venturing out of your office and sitting with your employees can often give you a completely different view of what’s actually happening in your business. After a while, your employees will forget you’re there and it can be a great way to figure out if there are any bottlenecks or cultural issues in your organization. Dealing with growing pains is a natural part of growing and scaling a business. And as you add more customers, employees or regions, they will inevitably arise. However, by upping how often you communicate and getting down and dirty in the business, you can start to work on your business, get the troops aligned and start hitting your growth goals. The post 5 ways to overcome growing pains in your startup without getting bogged down in process appeared first on Xero Blog. Lauren and Elena are two young entrepreneurs with an iced tea empire in the making. Their rapidly growing small business, Those Girls, uses their shared passion for unique flavour combinations to create delicious iced teas. If you haven’t seen them popping up at festivals and markets across Victoria, you will definitely recognise them from their successful pitch on Shark Tank Australia. With customers carrying cash on them less and less, Those Girls took it upon themselves to find a simple tool that empowers them to accept any payment which comes across the counter. Enter Square Reader—the smallest, most mobile and most affordable card payment reader available, meaning they can now accept credit or debit cards directly from their smartphones. Running a small (but powerful) mobile point-of-sale simplified their counter-facing business operations, and by integrating their Xero account with Square they could automatically import, summarise and populate every day’s transactions to the appropriate account to Xero’s general ledger. A once tedious process – now simplified, thanks to Xero and Square. 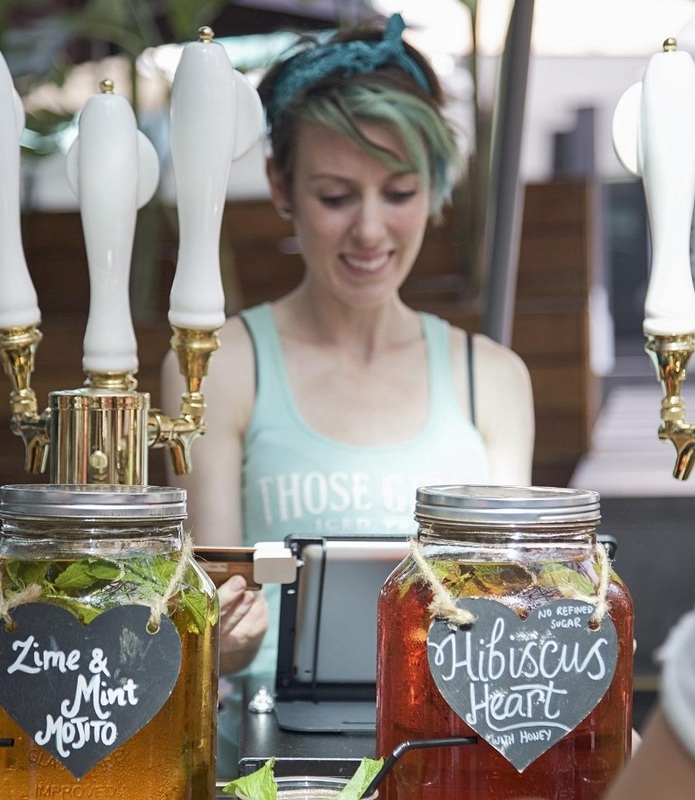 The team at Square caught up with Lauren and Elena over cool beverage to talk tea, tips and how they’re leveraging the Square and Xero integration to run their business smarter. We had our light bulb moment one day in December 2013. We were sipping our delicious home-brewed chai lattes and we thought, “Why aren’t we selling these?” We saw an opportunity there to start an ice tea range, a product that would be in demand on a hot summer’s day. Plus no one else was doing it at the time. So from there, we put our butts into the air and started recipe trials, and the rest is history. You trade at a lot of events. What’s been your favourite? We absolutely love being at the night markets around Melbourne. Our two favourites are the Queen Victoria Night Market and South Melbourne Night Market. Being at the night markets is a great way to connect and communicate with our customers and get valuable feedback on our products. There are always so many great local products and performers that it’s impossible not to have a good time. You’ve used social media as a key channel to grow a loyal fan base. How has this helped grow your business? Social media is a great way to communicate with our followers about what events we will be at and the new products we are launching. It makes us really happy when people try our iced teas and hot apple cider and love it enough to post photos or blog about it. Plus it’s a fun way to spread the word about great products, as people generally only post about positive experiences. We have just started using Periscope too, so keep an eye out for us! Your business model is incredibly hands-on for you both. How do you manage the workload? We won’t lie, it is challenging. But what makes it possible is that we really love what we do and we are ridiculously passionate about it. Plus, we have learnt to get by with very little sleep. What’s the one piece of advice you’d give someone who is about to set up their own small business? Prepare to work hard — really hard. There’ll be a lot of laughter and a lot of tears along the way, so don’t forget to keep smiling or you will miss out on making a lot of priceless memories. Prior to Square, you didn’t accept card payments or used a point-of-sale. Why now? We’ve never accepted card payments before Square came along. It was never worth the time or effort or money for us to go and invest into cashless transaction. Square offered a system that was easy to set up, didn’t cost us anything upfront, we saw an opportunity and we took it. It’s been great since then and it means we never have to say no to a sale, and in small business, that’s huge. How is the Square and Xero integration helping you? The main benefit we have seen through using Square and Xero integration is the reduced amount of time needed for managing our sales data. It’s helped us create a streamlined process for our bookkeeper, and that means we’re more confident in recording our sales during busy times! It’s allowed us to expand, and to act like a more professional business as well. We are incredibly excited to launch our wholesale range of iced tea mixers and hot apple cider. We have worked really hard to create a product that has the same great taste and quality yet is convenient for cafes, restaurants, pubs, clubs and venues to use. We can’t wait to share the love with more Australians and make our products more readily available. Xero and Square work together, syncing sales and business data seamlessly from point of sale to accounting to make business easier for sellers around Australia. Learn more about how you can integrate your new Square account with Xero. The post How Shark Tank success story Those Girls are using Xero and Square to fuel their expansion appeared first on Xero Blog.